Completely new to the scene, I am 19 years old. Very interested in this field and would accept training and beginner investigation assignments. I prefer hands-on investigation tactics, at least to start off with. As I’m proficient in parkour, and don’t have a car yet due to my inconvenient life situation. Willing to do free or cheap assignments to build trust, and hopefully develop a long term business relationship. Thank you for your consideration. 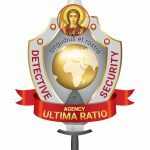 All-Ukrainian detective agency “ULTIMA RATIO” specialise / finance / business / matrimonial / fraud / commerce / industry investigator-s / detective-s. Some of the Services We Provide Include: Criminal, Civil & Domestic Investigations Relationship Investigations Marital & Divorce Surveillance Polygraph Services Background Checks Skip Tracing Missing Persons Attorney Services Witness Interview Social Media Relationship Background Investigations Accident Investigations Workers Compensation Process Serving Photography Executive Protection/Bodyguard If you need urgent assistance please contact us! Private Investigator with research and writing skills. I am an expert in background searches, surveillance, investigative services, skip tracing, location and much more. I have excellent writing skills. I have also worked Government contract cases. Licensed and bonded.